The ARTsolar 5kVA Esezingeni Power kit was designed to not leave you in the dark. The cost of the kit does not include installation, for installation costs, please contact our sales team. Consisting of a state of the art 5kVA/5kW parallel inverter with WiFi monitoring paired together with our world class 330Wp solar panels, backed up to an array of range topping 200Ah deepcycle GEL AGM batteries, this kit oozes quality. Solar Panel mounting racks not included. Sold separately (Enquire from our sales team). Installation of the kit is available from the ARTsolar Projects team and is not included in this price. Please enquire separately. This kit is able to store around 8 Units (kWh) of energy in the battery for off-grid usage or when no power is available from the grid or solar panels. 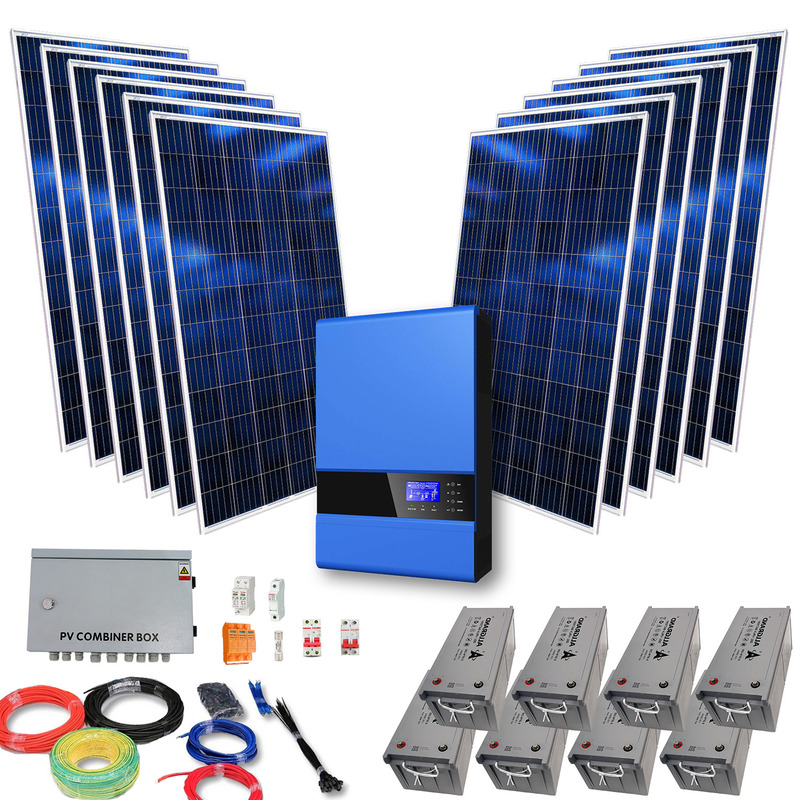 Thus this kit will be able to provide enough power to run your television, LED lighting, fridge, microwave and so forth at night or in a no grid / solar power situation. Please note, that it is not recommended to power your electric geyser or stove from this kit as it will greatly diminish the lifespan of the batteries. The solar panels in this kit are able to produce up to 3.96 Units (kWh) an hour in ideal conditions. 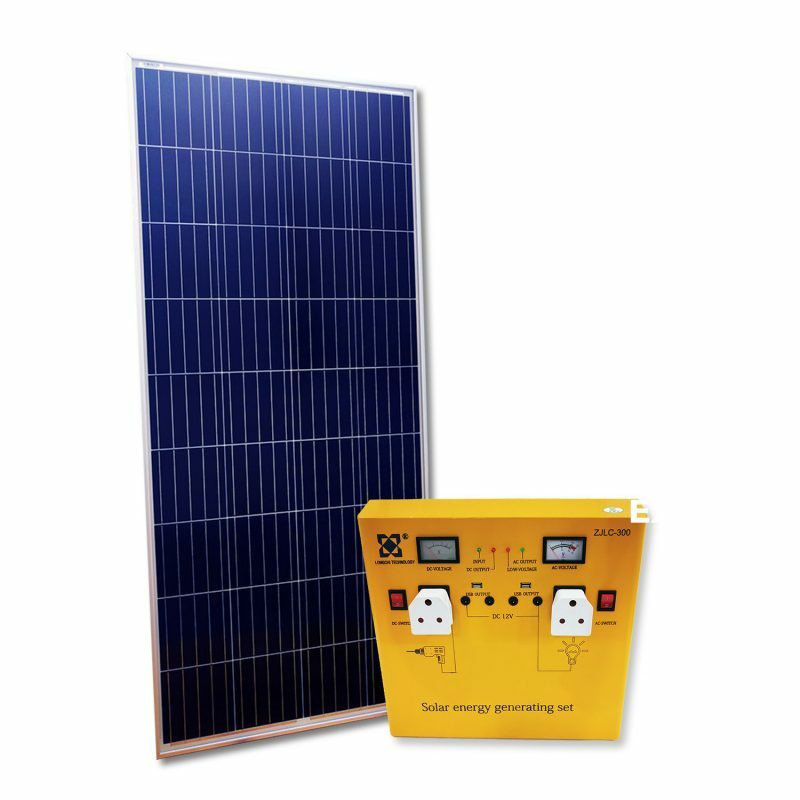 The inverter included in this kit can be set to prioritise power distribution from the solar panels to either charging the batteries or powering your household grid as needed. By default the inverter will use solar power to charge your batteries to their maximum capacity first before distributing power to your internal household power grid. Going off-grid with solar is a lifestyle change, meaning that one must learn to use electricity sparingly and only as needed.